Bring out your beauty with the best blow out and hair styling in Austin. No cuts or color ~ just head-turning style. 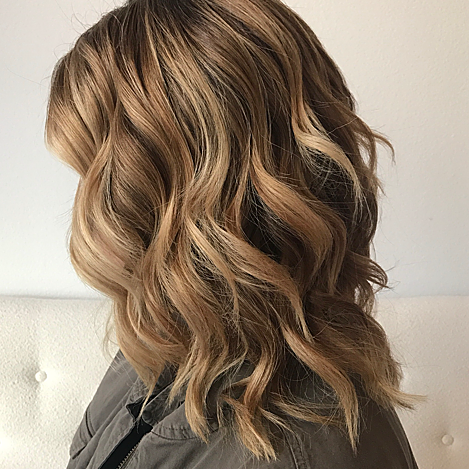 While we happily service clients with extensions, Parlor Beauty Bar is not responsible for extensions that come loose or are damaged during the wash or blowout. We recognize that extensions are expensive and delicate; we will be as careful as possible in handling them, however we simply cannot assume responsibility if they come out or are damaged as a result of a Parlor Beauty Bar service. Please note: All clip-in extensions MUST BE BROUGHT IN CLEAN. Hair that takes longer than 45 minutes due to longer or thicker hair. Hair that takes longer than 60 minutes due to extra long or thick hair. Bring us a picture or let one of our talented stylist work their magic. *Please notify us if you have extra long or thick hair and require additional time outside of 1 hour. Want the look of Old Hollywood Glam? Book with us and we’ll have you ready to walk the pink carpet! This style is best set with one day worn hair. Hair with extensions is additional. No wash, just a classic beautiful braid. Please note: Price is for one classic braid (ex. fishtail, french, etc.). Each additional braid is a $10. Please come in with clean dry hair. We’ll take care of the rest. Curious about extensions or ready to make the move. Book a consultation and discuss the benefits as well as color-match your hair color. Let’s boogie, get our gal pals together and have some fun! 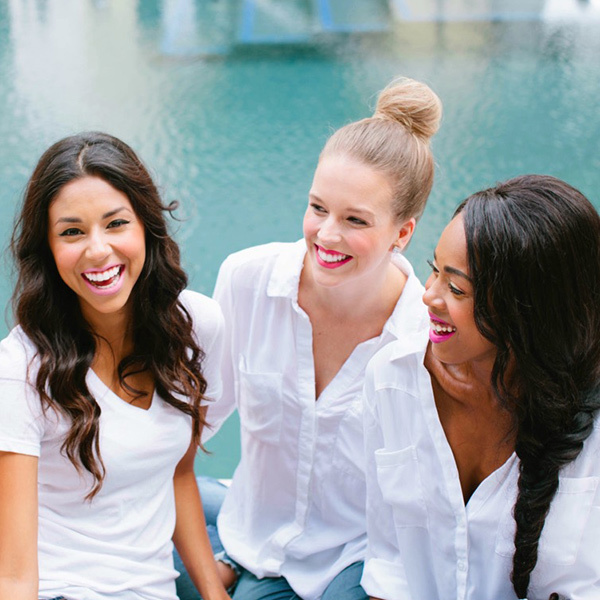 We love bachelorettes, baby / bridal showers, birthdays, product launches, girls night in/out and special events. Please email us at info@parlorbeautybar.com for your party request. We promise to make your day extra special. 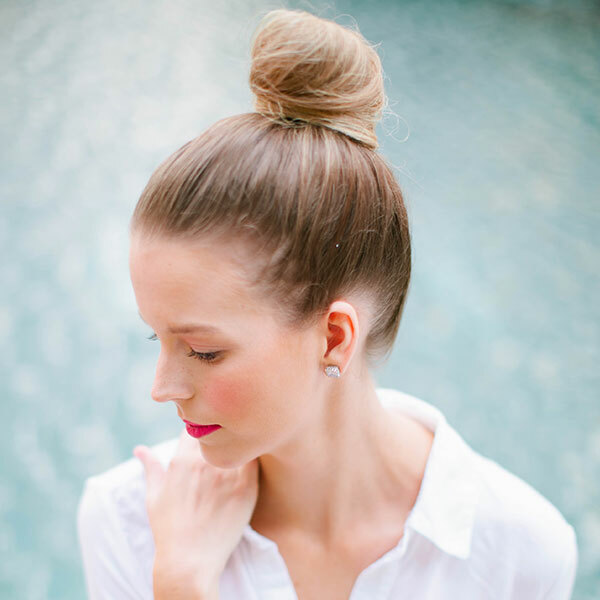 Get a gorgeous classic blow out in about 45 minutes. *Please notify us if you have extra long or thick hair and require additional time outside of 45 minutes. *Hair with extensions is extra. Get a gorgeous blow out in about 60 minutes. Want the look of Old Hollywood Glam? Book with us and we’ll have you ready to walk the pink carpet! This style is best set with one day worn hair. Price is for one classic braid. Additional braids are charged at $10 each. Hair with bonded or clip-in extensions is additional. All over curls with use of a hot tool. *Hair with extensions is additional. *Please notify us if you have extra long or thick hair and require additional time outside of 60 minutes. Bring us a picture or let one of our talented stylist work their magic.Wash NOT included. "Great experience at Parlor. Easy to make an appointment and really appreciated the email follow ups and phone reminders. 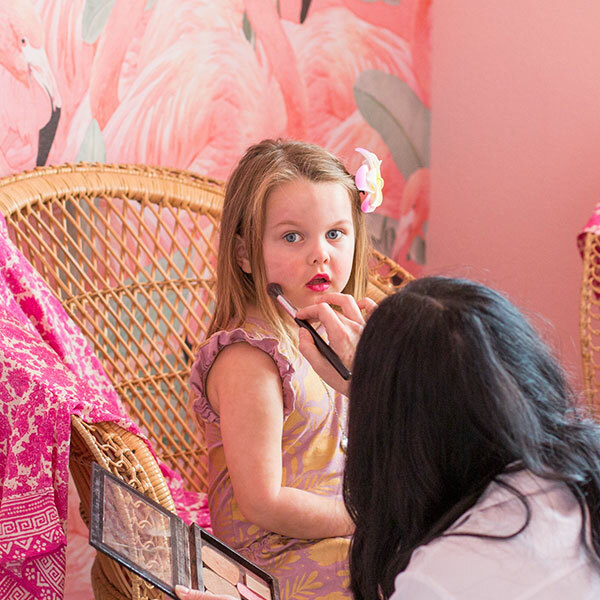 The decor in this chic salon is vibrant and inviting and each room is cuter than the next. My services for the visit included a wash/blow out and a brow touch up. I loved the blow out! My stylist was so sweet and gave some pointers through out the session on how to achieve this look at home. I really liked the products ( volumizing powder and spray) that were used. My hair maintained shape and body up until my next washing. I'm not quick to let just anybody near my eyebrows usually, but was comfortable with the precision and care of the esthetician. Highly recommend Parlor for your next big event or just to treat yourself to a little pampering!" "Jessica is fabulous. I have pretty frizzy dense hair and she was able to tame it down to some gorgeous waves. She was very diligent in figuring out exactly what I wanted and made sure to consider the smoothing treatment in my hair and use the correct products so as to not ruin it. The salon itself is fantastic, too. Everyone was super nice, the decor is trendy, and the hair wash station was really comfortable. 10/10 would definitely come back." "Kelsey somehow manages to tame my wild fro, and it looks nothing short of a masterpiece. I can't imagine going to anyone else!" "Excellent service! Everything was a handled properly with my appointment and the owner was so nice and all the little touches like a cold brew Coffee and adorable decor. 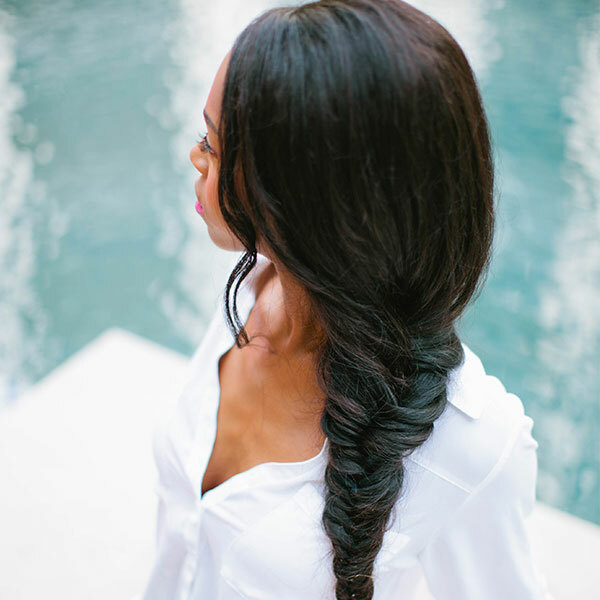 My service was great Brittany did a fantastic job I have naturally curly hair that is somewhat thick and I'm kind of picky about my hair from the part to the curl she nailed it I'm 4 days in and haven't had to touch my hair up yet! I will be trusting them for all my special occasions from now on!" 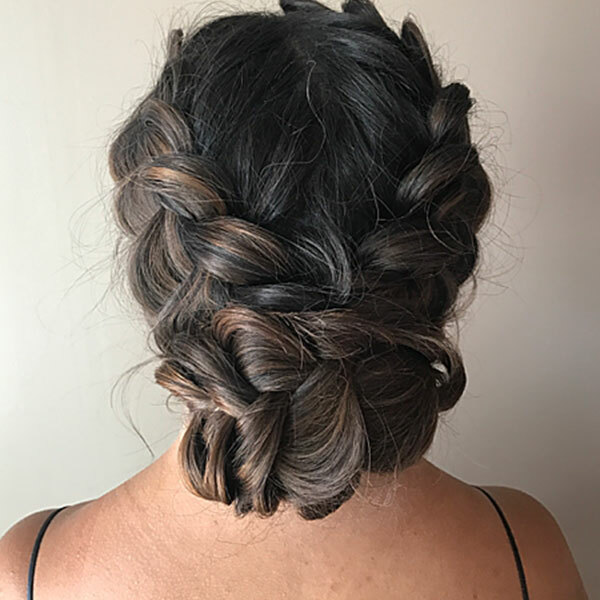 "I just had my fourth blowout at Parlor Beauty Bar (with Jessica) and look forward to many more. It's such a treat to walk into the bright and cheerful, yet calming atmosphere, to a friendly greeting and drink offer. The owner has considered everything...From the most comfortable wash bowl I've ever encountered (and that includes a LOT of variety), to the efficient and orderly blowout bar, and the separate rooms for other services, Charlotte has covered all the bases. She is clearly selective when it comes to her choice of staff as well. 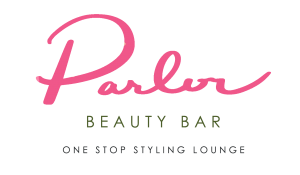 If you want to treat yourself to some pampering, you can't go wrong with Parlor Beauty Bar"
"Parlor Beauty Bar is the best blow dry bar in Austin! 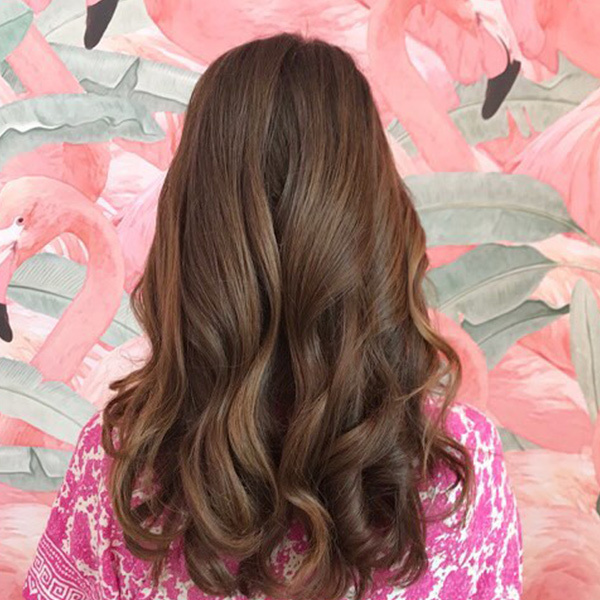 It has a very inviting pink and beach-glam aesthetic, with a cute and professional staff that can give you a hairstyle to last through the week! My hair has never had so much bounce before, and it lasted until my next shampoo 4 days later. And I couldn't leave without a new pair of earrings! Love this place!" "My wife loves Parlor! These ladies know how to make her look (and feel) amazing which is all I care about. 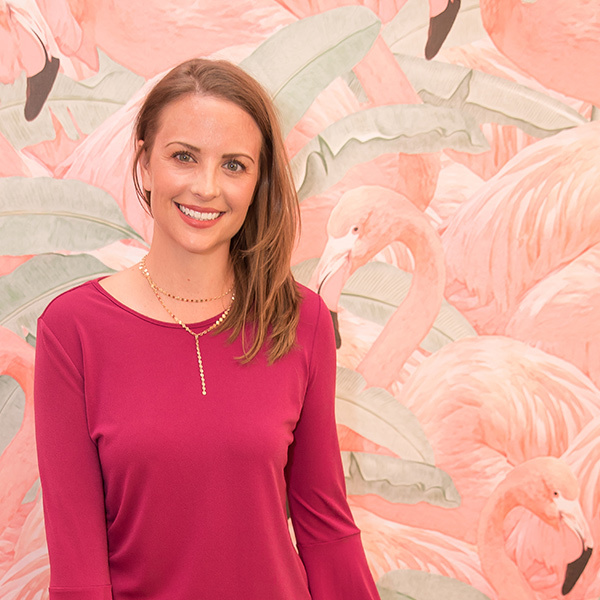 We'll continue to support this blow dry bar and styling lounge. 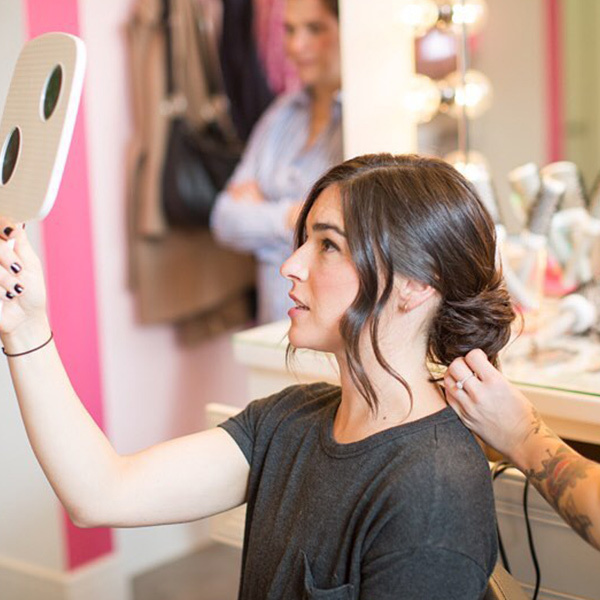 She gets lashes biweekly and blowouts on the regular and I think she always looks beautiful." "Parlor is by far THE CUTEST blow dry bar! I had my hair blown out many times and always am taken away with Parlor's work, even with the heat and humidity my blow out always last! Lash Lifts and Brow shaping is also on point here! You got to check them out, you will not be disappointed!" "This is simply the best place to get it all! Want to take some time for just you and walk out feeling amazing...this is the place. Loved my makeup!! Brittany is an artist! From the moment I met her I knew she would make me look beautiful. My hair stunning! I've never had my hair look like this and I can't believe the humidity hasn't killed it yet! Hours later and it look fabulous. I came here to get ready for our family pictures and it was the best experience I've had in a long time.They also pamperred my moody two year old. Love love love this locally owned, woman owned, woman ran business...love the passion and love this salon gives to all its clients." "Parlor is the perfect destination when you're wanting to be pampered. I have been going here for months and have tried almost all their services. I get blowouts here once a week. My hair has never looked better, and I'm constantly receiving compliments on my hair. I've also had my brows tinted and waxed, and have recently scheduled to have my brows microbladed. Megan does my lashes and they look AMAZING! 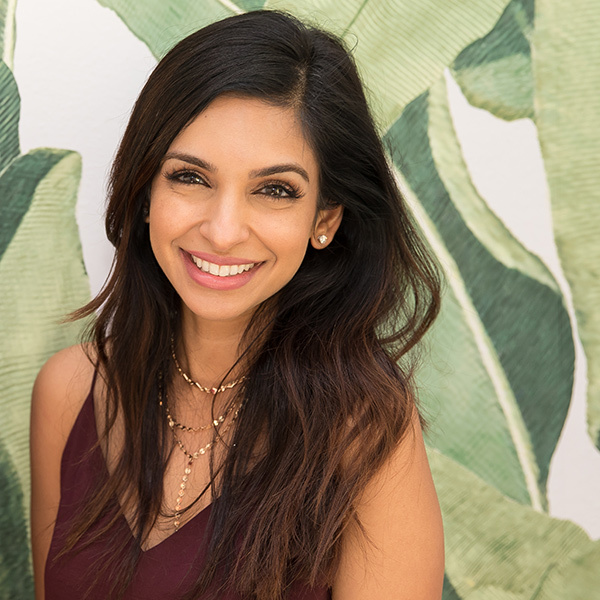 I have cut at least 30 minutes off my morning routine and only need to put on a little makeup (blush and lipgloss) if I feel it, but otherwise I feel put together once I wake up -- these lash extensions are a game-changer! This is my go-to beauty bar! I will not go anywhere else." "Oh my I feel so pretty!!! 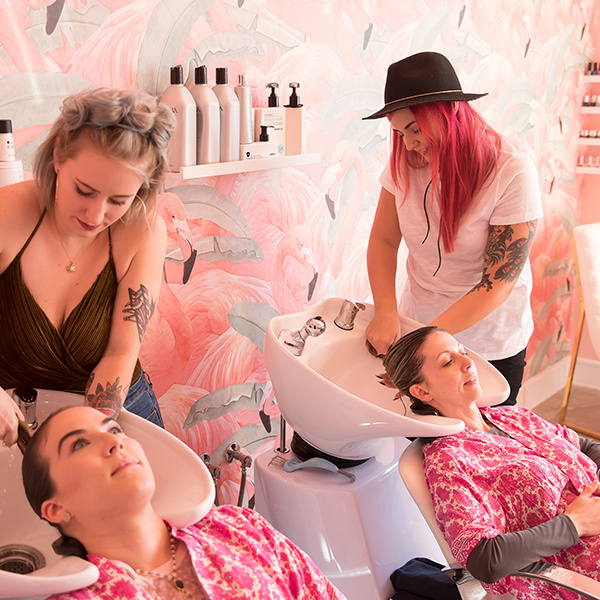 Parlor Beauty Bar went above and beyond. Let me say this. I have been to beauty spas before and as a BLACK woman I always leave disappointed. Wrong shades of concealer and no options for my hair. Well this was not the case here! My make up was slayed and laid by Brittany. The sweetest person ever. I feel like we're bffs! The conversation the entire time was great, upbeat, and hilarious. I could see myself coming back!Is it a requirement to be hot to work there? The ladies here are gorg and the man at desk is so easy on the eyes!!"